Expo Exhibition stands (since 1979) is your partner for creating successful exhibition stands all over Europe. With offices and warehouses in the Netherlands, Germany, Belgium, Austria, Switzerland, France and Spain we can always garntuee you optimum service at competitive prices. We create for you modular exhibition stands with a custom look & feel. But with all the advantages of modular and re-usable components: budget friendly, environmental friendly, fast turn around times and consistent and modern image. Partner with Expo Exhibition Stands to help us bring to you state-of-the-art exhibition stands and best exhibition stand services. Let us know your exhibiting requirements and we would make sure to present you the best possible exhibition stands for a remarkable show experience. Our expert consultations and exhibition stand services guide you in getting the right exhibition stand hire in Europe. At Expo Exhibition Stands, every project is a dedicated and committed task and we believe in delivering world-class exhibition project management without any compromise. This is the reason, we have assigned devoted project managers who ensure complete show services and support throughout the event. Our project managers guarantee that your exhibition project management goes well without a single snag. Expo Exhibition Stands is a manufacture and full service provider of exhibition stands Europe. 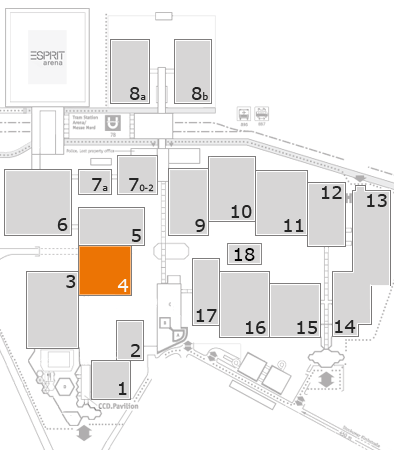 Our extensive presence is marked by 7 offices and 14 showrooms spread across Europe, helping our customers with best exhibition stands. We offer a competitive edge for International Exhibiting and take care of your show needs as your most reliable partner. Our offices at Germany and Netherlands are well-equipped with state-of-the art printing setup and warehouse facility respectively. We Bring Customers Success in Exhibitions by offering turnkey exhibition solutions by sharing knowledge and giving complete services. To be the most preferred brand in Europe for exhibition solutions in terms of stand design, execution and customer understanding. We have been delivering quality solutions in Europe with a focused target of offering consistent branding. Our top notch end-to-end services make your brand a successful hit at every show!